A facial cream that brightens up skin and makes you look years younger? A magical concoction that obliterates eye bags and dark circles? This isn’t a list of your Christmas wishes being granted – it’s just a few of 2014’s most raved about beauty breakthroughs in Seoul! There are about a zillion beauty products out there that claim to enhance skin, reverse signs of aging, and overall rev up your beauty. Think you’ve heard the same agenda over and over again? Here’s the difference: this one-of-a-kind box actually works, and we’ve got proof – all the ladies in Seoul are lovin’ all the goodies in this box! 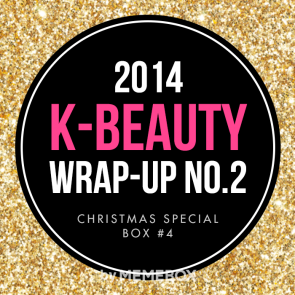 Don’t toil away the future months waiting for your beauty products to take effect, see a difference NOW with our new and improved K-BEAUTY WRAP-UP #2! This December, don’t just address your most nagging beauty concerns – obliterate them forever! No more blackheads and oily mess around your noses! The Cooling Nose Pack’s blend of blue menthol, button flower, arnica, and pancratium maritmum extract effectively soothe and cool down dry, irritated nose. Then the Pore Slim Pad’s gently formula based on camellia extracts and witch hazel extracts works to tighten and refresh visibly enlarged pores. How to Use: Cleanse the nose thoroughly with water. With dry hands, remove the translucent film from the Cooling Nose Pack and place the smoother side over your nose. Let it rest for 10-15 minutes. Peel off from the outer edges. Gently rinse with water or toner. As for the Pore Slim Pad, place it over puffy eyes or nose in the morning for about 10-15 minutes. Remove and follow with toner and emulsion. I am actually pretty excited to receive this product! I love nose and face strips and haven’t been able to try any Korean strips yet. Not only that, but to get 10 of each the nose and face strips is great! Some boxes might give you only one or two of each, so these will last a long time. I haven’t tried these yet because I don’t like to use them too often but I really do look forward to seeing how they compare with ones I’ve tried before. This non-sticky, lightweight formula absorbs into skin smoothly to reduce appearance of dry patches and roughened skin texture and to brighten up dulled complexion. A blend of allantoin, licorice, niacinamide, hyaluronic acid, green tea extracts, and portulaca extracts replenishes, softens, and rejuvenates to give skin a healthy glow and youthful radiance. How to Use: Massage the cream gently all over clean face as the last step to skin care. Pat in with clean hands for full absorbance. I’m not sure how I feel about this one. Whitening creams as a concept make me a little bit nervous. I have read that Asian whitening creams are more of a brightening product than actual whitening so I hope that is right. If it does work for brightening than it would be nice in the winter when my skin is a lot more dull than the warmer months. I will probably spot test this one before I slather it all over my face. How to Use: Spread the clay pack evenly over clean face. Leave it on for 10-15 minutes. Massage gently with lukewarm water and rinse off. Follow with toner. Recommended to be used 2-3 times a week. This is another one that I am pretty excited about! I haven’t tried any clay masks up until now. I received this and the Claypatra masks in the Boxing Day #2 box both on the same day so that is awesome! I have heard a lot about what clay can do for your skin so I am interested to see if it can do anything for me. I really hope it can do something for enlarged pores because that is an issue that I deal with. It’s about time you upgrade your skincare regiment to include things like eye creams – if you wish to maintain your youthfulness for as long as possible! The natural Toc Face Tuning Eye Cream enriched with natural ingredients such as tea tree extracts and argan oil are perfect for those just entering the world of ‘anti-aging’. It’s gently in formula, delivers intense hydration and nutrition, and suitable for daily use because it melts softly into eye contours with a moist, light finish. I feel a little neutral about this one. I have found an eye cream that I really love and have been using so I don’t really need this. However, when I finish the one that I am using now, I will try it out. There were two options for this cream: tea tree oil and argan oil. I was happy to receive the argan oil option because I think that it will do more for me than the tea tree oil version would. I probably won’t get to this for awhile so I won’t know how it works until later on. Cantabile Stick BB Concealer adheres tightly over blemishes or acne scars to provide flawlessly smooth and porcelain-finish coverage. It comes in an easy-to-carry stick type and its moisturizing formula enriched with vitamin E complex helps maintain skin moist and soft. There were two colour options for this one, #01 Light Beige and #02 Natural Beige. 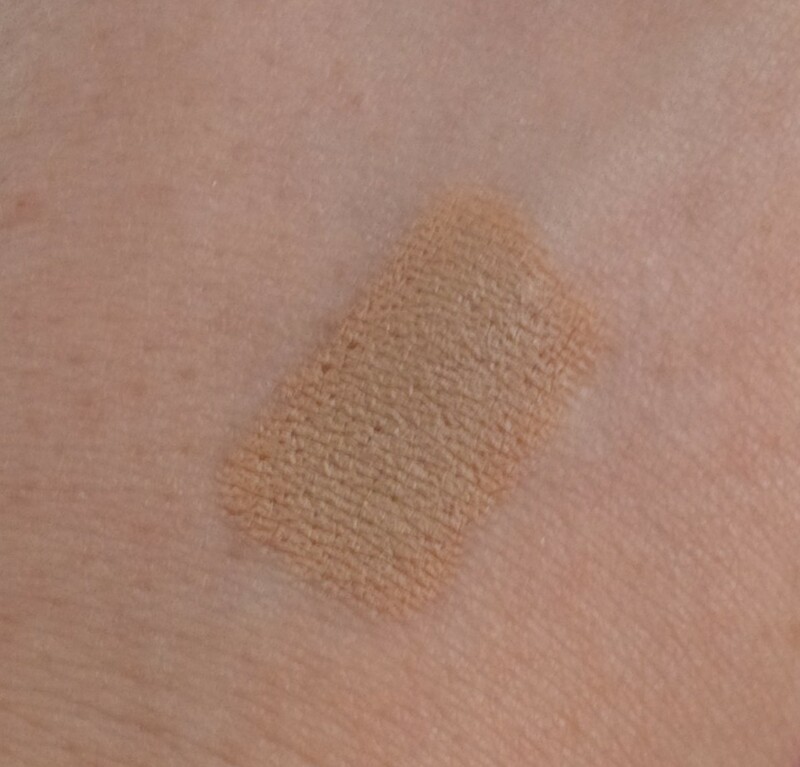 I unfortunately received the #02 Natural Beige concealer which is quite a bit darker than my own skin (as can be seen in the swatch above). It seems that whenever Memebox sends me concealers, I get the colour that is too dark for me. I will have to see if there is a way that I can make this work, but I’m not sure. Maybe I will save it for the summer when I have slightly more colour to my face. Granted, slightly more colour for me just means a little bit less pale. This is a scrub foam cleanser containing goat milk and abundant vitamin nutrients to help exfoliate excess skin impurities, dust, dead skin cells, and sebum. It will deep cleanse the face and replenish vitality and healthy glow to your face. Contains no artificial additives thus gently and non-irritating to all skin types. 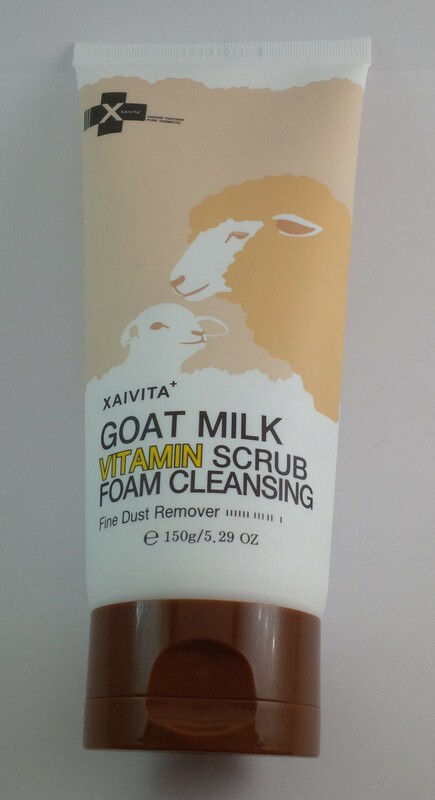 For this box I received the Vitamin Scrub Foam Cleanser but there were many possibilities for products from the Goat Milk Skin Care Series. The other options were: Goat Milk Bubble Soap (85g), Goat Milk Moisturizing Hand Cream (70ml), Goat Milk Wrinkle Essence (80m), and Goat Milk Bubble Foam Cleansing (150ml). There isn’t a price listed for any of these options but they are all full sized. I think that I would have chosen the essence if I had the choice but what I got would have been my second choice! I have so many cleansers but I am intrigued by the fact that it is a scrub foam cleanser. Hopefully it is actually a scrub type of product and that it doesn’t just have scrub in the name. I’m actually quite happy with this box! I paid $25 for the box and received products with a retail value of $164 (not including the goat milk cleanser). We will see about the concealer and the whitening cream but I’m sure they will be fine! I’m pretty happy that I bought this one. I hadn’t heard great things about the original K-Beauty Wrap-Up so this was a nice surprise!